Released by the suspiciously cheapjack-sounding ‘Hollywood Producers and Distributors’ comes this hysterically haphazard shocker complete with performances ranging from the finest wood-grain to the outlandishly over-ripe. 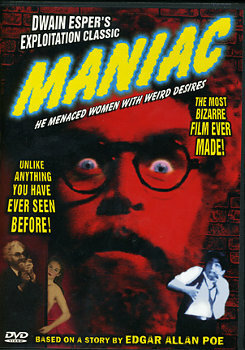 Maniac was directed by Dwain Esper, who’d already established his credentials at helming exploitation movies with Narcotic (1933) and would go on to such notables as Marihuana in 1936. His style ostensibly poses as educational warning whilst simultaneously mining every tawdry detail he can get from his sensationalist subject. 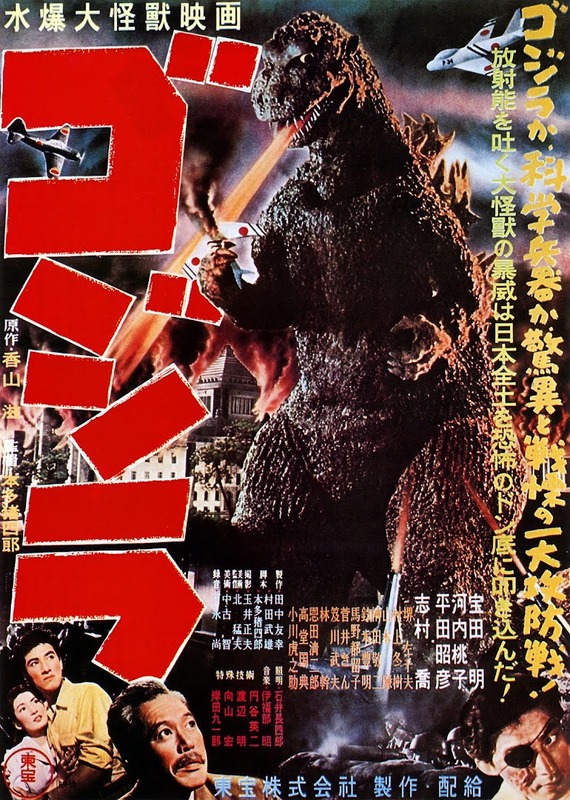 In this film, there are so many title cards alluding to the medical conditions depicted (I counted six over the course of its 50 minutes) that they almost function as chapter headings, clumsily interpolated without caring about structure. At times, one wonders if this is a bad illustrated psychiatric text book instead of a horror film. The origin of Maniac is loosely inspired by Edgar Allen Poe’s The Black Cat, the tale of a man haunted by the moggie he hangs after torturing it. A similarly marked cat appears and plagues his waking life till, thwarted in his attempt to kill the new one, he kills his wife in an uncontrollable rage. He bricks up her body behind a wall but when police hear miaowing, it tips them off to break down the wall, revealing her hidden body and that of the cat. Esper’s film, written by his wife Hildegarde Stadie, takes this premise and adds a mad scientist’s experimentation into the motivation. We begin with an introductory ‘Foreword’ warning the public against giving in to fear and a wonderfully vague stab at credibility quoting the Chicago Crime Commission’s study of 40,000 criminals that ‘found them all suffering from some mental disease’. 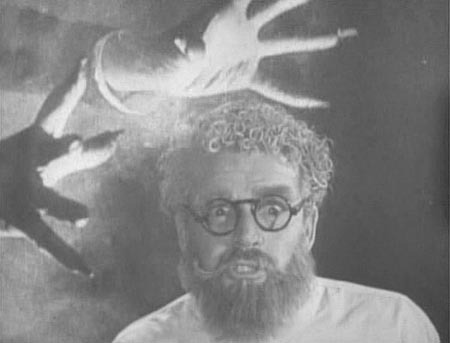 This leads us to meet Dr Meirschultz (Horace B Carpenter), a bushy-haired medical madman in glasses who could be a lost member of the Grateful Dead. After ranting about needing a human guinea-pig for his experiments whilst brandishing an intimidatingly large hypodermic needle, he bullies his lowly assistant Don Maxwell who came to him from a failed career as a vaudeville impressionist: “Once a ham, always a ham”. He can talk. He seems to roar every line in an unspecified Eastern European accent like a scholarly version of Laurel and Hardy character player Billy Gilbert. Meirschultz steals a beautiful female corpse from the morgue and injects her with his serum, a disappearance reported by an attendant to the humdrum Captain of the Bureau of Missing Persons. The doctor is not satisfied with this subject and shouts subtly to Maxwell: “What I want is a victim with a shattered heart”. Instead of waiting till his own performance puts him on the slab, he invites Maxwell to shoot him dead and then transplant his quivering experimental heart kept in a jar. Maxwell fulfils the first part and then decides rather than honour the bargain he will allow his boss’s soul to rest so that he can use his acting skills to impersonate Meirschultz, rendered easier by his employer’s disguise-like visage. In his haste, Maxwell/Meirschultz mistakenly lays hands on the huge hypodermic, full of super-adrenaline which inevitably causes Mr Buckley to go into lunacy overdrive, “Stealing through my body – creeping through my veins! !” and run off outside to abduct women and tear their clothes off. For connoisseurs of rare early 1930’s American cinema toplessness, you’d be disappointed as the subterranean-budget for Maniac only allows exteriors to be shot in murky natural light. Meanwhile, Mrs Buckley cunningly plots to do business with ‘Meirschultz’, believing her husband may be turned into her willing slave – presumably if he can stop jumping on young women long enough. SHE: “Why, they even brought a dead dog back to life once”. HE: “Well, that sounds very remarkable to me”. Captain Compelling then uses his disarming interview non-technique on the other oddball local who keeps cats in order to sell their fur, an enterprising chap who harnesses an unsavoury symbiotic relationship between felines and rodents. His explanation is a ghoulish tribute to Dr Seuss and Ed Gein: "The cats eat the rats, the rats eat the cats – and I get the skins!”. While Maxwell is spinning plates as his mentor, it seems he has forgotten all about his sassy platinum-blonde wife, one of four gossiping floozies in a hotel room, who is also scheming to get one over on her hubbie. Part Mae West and part talent gone west, she unwittingly lets Maxwell in on her plan by thinking it is Meirschultz she tells that there is a fortune due to Maxwell if she can find him. For some reason, this is randomly broken up with another unrelated word from our tutor sponsor about ‘MANIC-DEPRESSIVE PSYCHOSES’. Fearing the cunning of both ladies, Maxwell tries to be clever in playing off his wife and Mrs Buckley against each other. Aptly, they fight like wild cats, the screen over-laid by grasping talon-like female hands superimposed (repeated thematic footage like this was taken from Haxan: Witchcraft Through the Ages – see my review 24/12/2015). Maxwell weighs in by slugging Mrs Buckley with a strangely handy baseball bat and then the cops arrive, headed by our Fedora’d friend from the Bureau. Referencing the Poe story, they are alerted to a feline cry from behind the wall and the real Meirschultz’s body topples out along with a scaredy-cat.